Normal cups and tumblers just won’t cut it. We hate to tell you that, but it’s the truth and we’ll prove it to you in this RTIC Tumbler review. How many times have you had ice in your cup and had it melt faster than you wanted it to? There’s two problems that come about when this happens. First, you get a watered-down drink that doesn’t taste very good. Second, you get a drink that’s leaning more towards being warm, which doesn’t make it any more appealing. 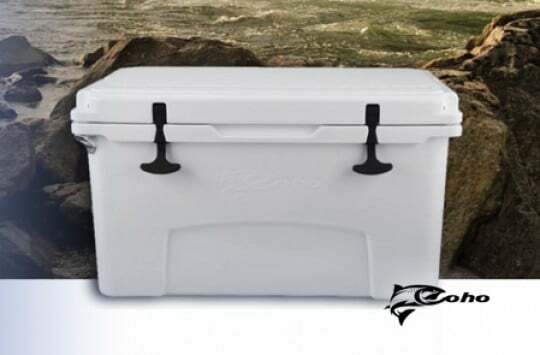 While you have seen the RTIC ice chest, RTIC SoftPak Coolers and RTIC Can Cooler Koozie, this will be the perfect individual addition when you just want one cold drink. We’ve gone through these products ourselves and bring you the most comprehensive review you will find online. If you have thought of purchasing the Yeti Rambler, may we humbly ask that you check this out first? You just may change your mind and save yourself some money in the process. Whether you need a cup for cold or hot drinks, you’ll find exactly what you need in the RTIC tumbler. This can keep your cold drinks cold and can also keep your hot drinks hot with this RTIC cup. Straight out of the box, what you will find with these tumblers is a cup that’s ready to go. Inside of the box, the tumbler itself is wrapped in a plastic bag. The cup has a wraparound label with the logo on one side and care instructions, as well as service and support information on the other side. As we mentioned earlier, these tumblers aren’t just to keep your drinks and ice cold. These tumblers are meant to keep drinks hot as well. With a double wall vacuum insulated container, you’ll find that contents stay as you want them to, without making the exterior too hot or too cold to handle. What you will find with this design, is a tumbler that goes above and beyond what you will normally find in your everyday cup pulled from your cupboard. You will also be able to enjoy your drink when you want to, and not have to drink them quickly for fear that they will get warm or get cold before you’d like them to. 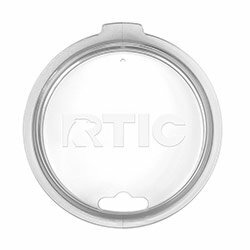 As with other RTIC products, with this RTIC rambler, you’ll get much longer cold retention times as opposed to other cups and tumblers. Imagine if you could pour a cold drink, and come back to it two days later and find that it was still cold? Do you think that’s even possible? RTIC reports on their website that you can expect cold retention times of up to 60 hours. Yes, that isn’t a typo. They report that you can enjoy your drink cold for nearly two and a half days. These RTIC tumblers come in three sizes to suit all of your drink needs. There is a small RTIC Lowball version that comes in at 10 ounces, a mid-size cup at 20 ounces and the largest one in the lineup at 30 ounces. These go-to cups can fill your needs when it comes to a mixed drink, hot drinks and iced drinks. You can pick up the size you need or get all three to fill any occasion or need that may come up. 18/8 Stainless steel construction makes this tumbler the perfect RTIC coffee mug to take with you to your jobsite or to the great outdoors. 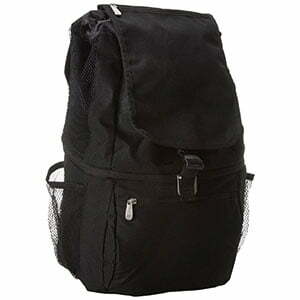 The tough and rugged design ensure that it can withstand the elements and environments that you will subject them to. While you have already heard of some of the features that make this the ideal rambler, here are some key features that may help to make this decision a little easier. It’s always difficult to grip a cup if the design is not conducive to your hands. The taller base of the cup make gripping and picking up a much easier process. While these tumblers may be used more for cold drinks, please keep in mind that you can use these for hot drinks as well. According to their website, you can expect heat retention times of up to 12 hours. This means you can enjoy the same hot cup of coffee at dinner that you had at breakfast. In this RTIC tumbler review, we mentioned the cold retention times but not the ice retention times. RTIC reports that you can enjoy frozen ice in this cup up to 24 hours. 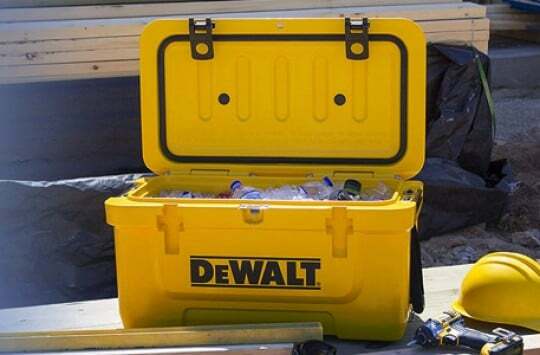 You might want to also read our Best Ice Chests Guide – just to get more informations about ice retention and other cooler’s features. Just as the RTIC coolers we reviewed earlier had an air tight seal, what you will find with the lids on these tumblers are ones that will do the same. 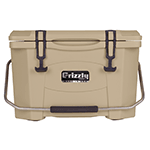 You will find lids that lock in the cold to keep drinks colder for longer periods of time. This is the part that many of you may have been waiting for. Just how much do these tumblers cost? Well, if you pick it up at their site, the 30-ounce tumbler will cost you about $10 as opposed to their competitors who price their tumblers at three times higher! Remember when we said that we just may be able to save you some money if you read through this review? We think we just may have accomplished that. What Are Actual RTIC Coffee Mug Users Saying? One user reported started off their review by saying that this cup was amazing. 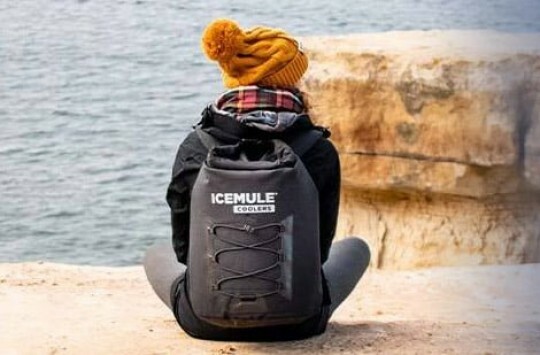 The user said that it keeps coffee hot for hours, keeps an iced drink cold all day and found that if you leave ice in it overnight, you will come back to ice in your cup in the morning. Another user said that ice really does last for 24 hours. 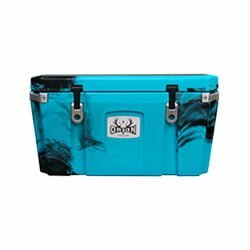 And yet another user shared that she bought one for her husband that works in a warmer climate outdoors and was so impressed at how long it kept drinks cold, that she got one for herself. We are sure you are already aware of RTIC’s competitor, the Yeti Rambler. When you stand them side by side, many users have reported that they perform extremely similarly to each other. As we have already gone through many other key features of the RTIC Tumbler, what we wanted to do was take a look at some key points and areas that may interest you when it comes to comparing RTIC’s product to the Rambler. Here’s a look at some of the areas you may want to consider if you have been on the fence about making a purchase. As you can see from the table above, the most obvious difference you will find is in the price. The Rambler comes in at nearly four times the price of the RTIC Coffee Mug. 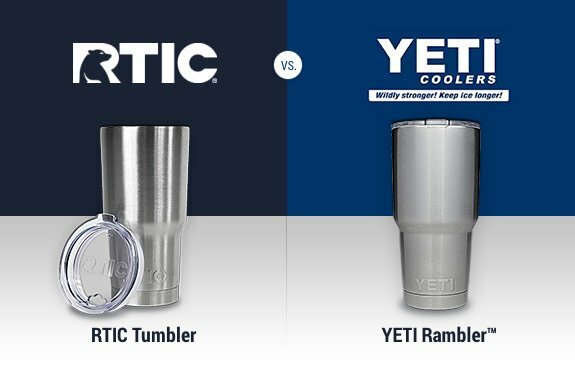 So, here is the question – Who wins in this RTIC Tumbler vs Yeti Rambler race? If we are looking at how much we are going to spend, then hands down we would need to select the RTIC Cup. Based off of the price alone being ¼ the cost of the Yeti Rambler in addition to tests and users reporting the same performance, for our money we’d go with the RTIC Tumbler. 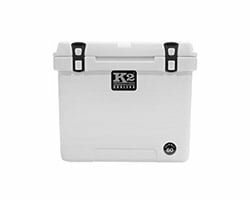 However, if you are willing to spend the money and want more of a premium name brand product, then we would point you in the direction of the Yeti Rambler. When it comes down to it, it’s really a personal choice and what you are truly looking at is whether or not you want to spend more and want the name brand recognition. If you are strictly looking at performance and price, then you can’t go wrong with the RTIC Tumbler. Where To Buy RTIC Cup? If you look at the RTIC website, you will see that they deal directly with consumers and cut out the middle man. They are a direct-to-consumer brand which means that you won’t find these tumblers in your local store or any other shops in your area. With that being said, what we have seen and found is that these tumblers are being sold on Amazon. There are over 12,000 unbiased reviews of these tumblers alone on Amazon, so our suggestion would be to first head on over to Amazon to see if you can find one at the price that you want. Check out all of the different reviews as well on the size that you want, to get a better idea of the product that you will be receiving. This way you can learn all you can before you decide to buy. If what you are looking for is not on Amazon, then we would suggest going to the RTIC website to find the Tumbler that you want. To wrap up, in answer to where to buy RTIC tumbler, we would first say go to Amazon then go to the RTIC website. We hope that you were able to find what you needed to know in this genuine first hand RTIC rambler review. With all things remaining equal in performance and quality when it comes to the RTIC tumblers up against its competitors, we would have to choose the RTIC Tumblers based off of cost. For us that would be our choice. If you want to spend more money on a name brand then you can most certainly do so, but that is entirely up to you. We hope that you were able to find what you needed to know in this RTIC tumbler review, and as always, if you need more information please don’t hesitate to comment below or contact us today.